Experience the aesthetics and sounds of traditional Thai music with renowned musicians and dancers from Thailand and Australia in this interactive event presented by ASSAJAN Collective, Kru Tuen Phattayakul Foundation and the Ministry of Culture Thailand. 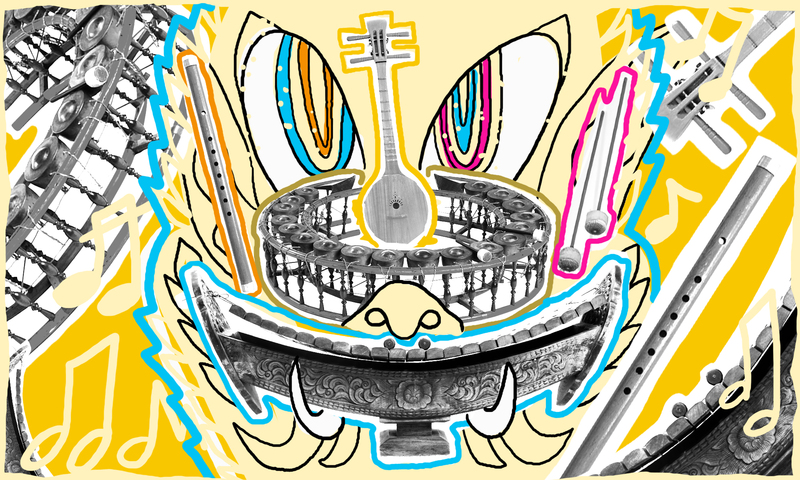 Artists Dew Khajittam and John Garzoli will talk you through the aesthetics of traditional Thai music and instruments, comprising a wide range of wind, string, and percussion instruments played by both the Thai majority as well as the nation’s cultural minorities. The talk will be followed by a musical performance on a three-string spike fiddle with a coconut shell body, used in classical music and also known as the most beautiful of the fiddles. There will also be a traditional guitar performance. With this sonic backdrop, Feaw Noinith will demonstrate how Thai dancers connect sound and movement, inspired by Fon Sao Mai—the silk weaving dance.